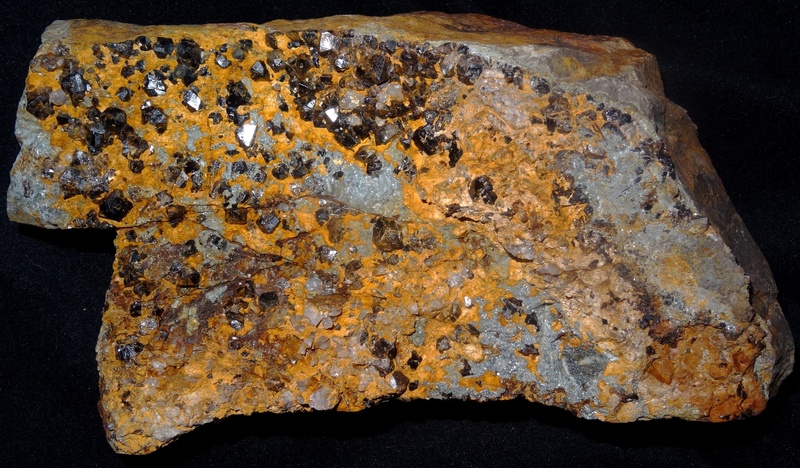 A large specimen showing coarse Cassiterite crystals lining a joint surface in metasedimentary rock that formed one side of a vein, collected from dumps of Cligga mine close to the granite-killas contact in May 2018. When first collected only a few crystals were visible, but careful removal of a chlorite/limonite vein filling that was present revealed a large number of pristine crystals up to 10mm. 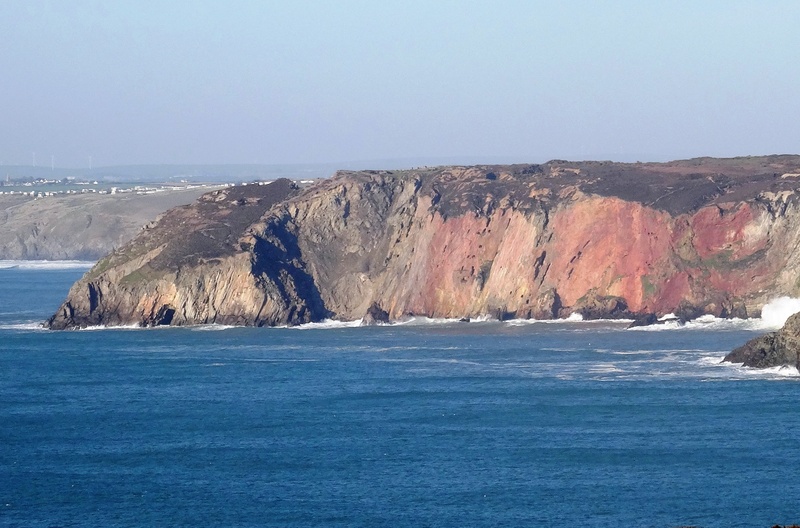 View from St Agnes looking east showing the Cligga granite intrusion and iron stained cliffs as a result of the intensive mineralisation in the area. 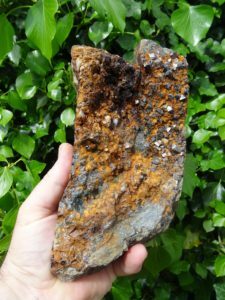 An exceptional example that shows that good specimens can still be found if a bit of perseverance is applied.